Pearls, Handcuffs, and Happy Hour: A New Look! I had a post all planned out for today, but I'm not sharing just yet. I'm FAR too excited about my brand new blog design!!!!! Thanks to the amazing talents of Tenille at Designs by Tenille, this train wreck of a blog finally has a new look and is so much more user friendly!!! Tenille was the brains behind the design for my teaching blog, too. I'm pretty much obsessed with everything she does. She is fantastically talented and I'm SO excited she made over my little slice of cyberspace! 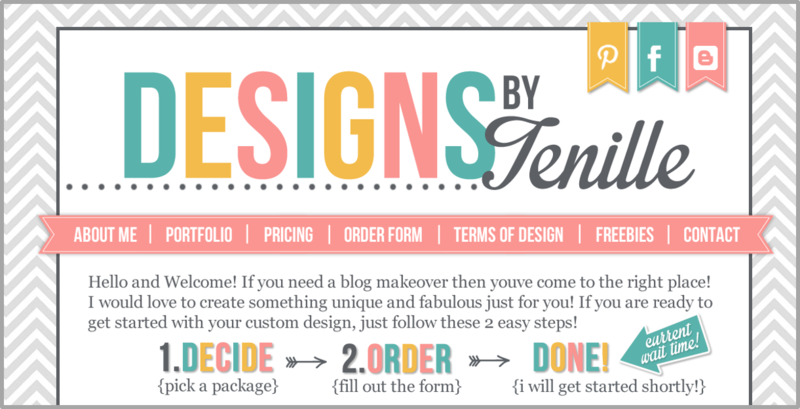 If you're itching for a new look for your blog, head on over and let Tenille work wonders for you, too!!! Thank you, Tenille!!!! I absolutely LOVE it!!!! I love it! It is so...(how many adjectives apply?) It is such an amazing blog transformation!!!! Your new design looks GREAT!!!!! Cara, your blog looks gorgeous! I loved working with Tenille. She does great work! I am sure that she is BUSY! I am off to make your Rotel recipe.... YUM!